A shining rhodium-plated heart pendant by Guess, set with glittering stones for a sparkling finishing touch. Styled with an adjustable chain and lobster clasp fastener. 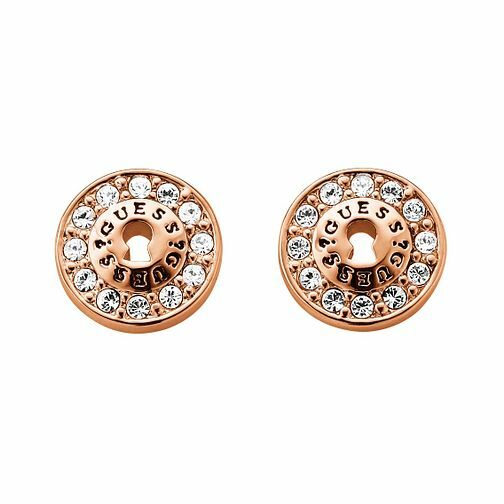 Guess Rose Gold-Plated Padlock Stud Earrings is rated 5.0 out of 5 by 2.